Dieser Artikel ist als Printversion nicht lieferbar. 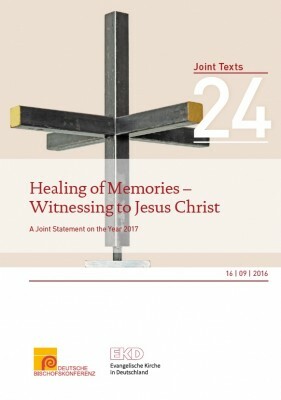 The process of a "healing of memories" is an essential part of the joint initiatives which give shape to the festival of Christ agreed upon by the Evangelical Church in Germany and the German Bishops' Conference for the Commemoration of the Reformation in 2017. The process aims to look honestly at church division, consider its painful consequences and ask God and one another for forgiveness for failures on both sides. In their Joint Statement on the year 2017, the German Bishops' Conference and the Council of the Evangelical Church in Germany (EKD) place this project in the context of the growing ecumenical community. Places of remembrance, which can still shape and burden collective memory today, are described exemplarily in order to look from there gratefully at the fruits of the ecumenical movement, to consider the open questions which challenge us today, and to point the way to the future. In addition to the Joint Statement, ecumenical penance and reconciliation services have a key position in the process of the healing of memories. The central celebration of such a service took place in Hildesheim on the eve of the 2nd Sunday of Lent, 11 March 2017. 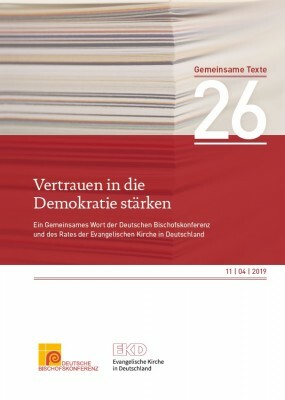 The German Bishops' Conference and the Council of the EKD suggested at that time to hold similar services at the regional and local levels after 11 March 2017. For this purpose, the draft liturgy on which the service in Hildesheim was based will be published together with the Joint Statement.